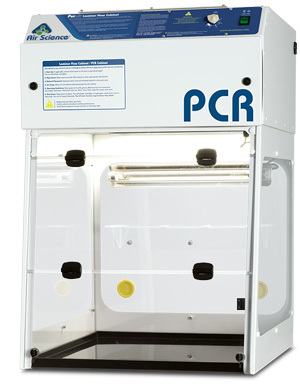 Polymerase chain reaction (PCR) is a simple and inexpensive technique to make multiple copies of a targeted nucleotide sequence from a DNA sample, and to amplify sequences from small samples. This technique is widely used in genetics laboratories that work with DNA and RNA. 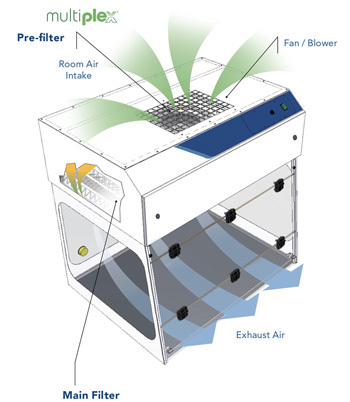 The Purair® PCR laminar flow cabinet employs the Air Science® Multiplex™ HEPA filtration technology to create a safe, energy-efficient contaminant-free environment. 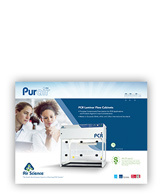 It is ideally suited for use with non-hazardous contaminants and when flexible access to the instrumentation in the cabinet is required. 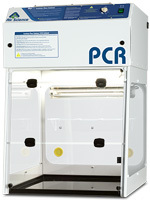 Purair PCR cabinets are constructed of steel with a microbial powder finish coating. 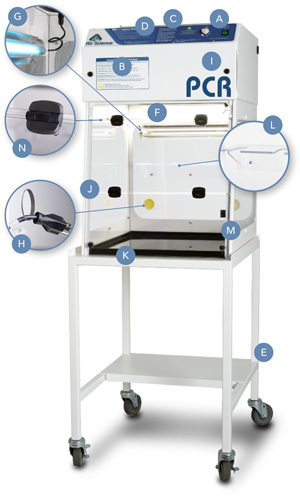 The optional stainless steel work surface includes lips on all four sides to contain spills. 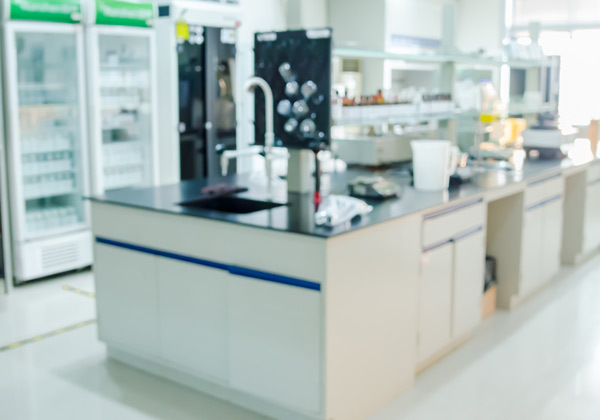 K. Work Surface: Large polypropylene work surface, white or black standard with optional stainless steel work surface available..